These were the words used by the hon’ble Supreme Court, while imposing a penalty of Rs 5 crore on an Odisha-based Kalinga Institute of Medical Sciences for raising the number of seats from 100 to 150 in an academic year and “playing with the future of students”. we are of opinion that the High Court ought to have been more circumspect in directing the admission of students by its order dated 25th September, 2015. There was no need for the High Court to rush into an area that the MCI feared to tread. Granting admission to students in an educational institution when there is a serious doubt whether admission should at all be granted is not a matter to be taken lightly. First of all the career of a student is involved – what would a student do if his admission is found to be illegal or is quashed? Is it not a huge waste of time for him or her? Is it enough to say that the student will not claim any equity in his or her favour? Is it enough for student to be told that his or her admission is subject to the outcome of a pending litigation? These are all questions that arise and for which there is no easy answer. Generally speaking, it is better to err on the side of caution and deny admission to a student rather than have the sword of Damocles hanging over him or her. There would at least be some certainty. Costs of Rs. 5 crores are imposed on KIMS for playing with the future of its students and the mess that it has created for them. The amount will be deposited by KIMS in the Registry of this Court within six weeks from today. The amount of Rs. 5 crores so deposited towards costs shall not be recovered in any manner from any student or adjusted against the fees or provision of facilities for students of any present or subsequent batches. KIMS is restrained from increasing the intake of students from 100 students to 150 students for the MBBS course for the academic year 2016-17 and 2017-2018. The MCI and the Central Government shall enforce strict compliance of this direction. The MCI or the Central Government will proceed to take action against KIMS (if deemed advisable) under Clause 8(3) of the Medical Council of India Establishment of Medical College Regulations, 1999 (as amended) as mentioned in the communication of 15th June, 2015 of the Central Government. The admission granted to the 50 students pursuant to the order of the High Court dated 25th September, 2015 and the provisional permission granted by the Central Government only on 28th September, 2015 shall not be disturbed. How the students will complete their course of studies without putting undue pressure on them is entirely for the MCI and KIMS and other concerned authorities to decide. Many a times even the assessors (Inspectors) are also found wanting in due diligence and they lack meticulousness.demanded of them for such a demanding professional course. Some inspections are conducted by assessors very perfunctorily without going into the details of requirements of training of such high grade professionals and taking time to verify the records and devote some more time in doing their duty more meticulously with due diligence. If the college didnot admit extra 50 students and if the students approached the honorable court is not contempt of the courts order to permit to join extra 50 students.Is it not The court and not the college had made the mistake. Good decision given by SC. SC has rightly penalised KIMS. Its observation that MCI should publcisize the list of approved seats in medical colleges is a step in the right direction. This will prevent unnecessary cheating of innocent students who toil to get into a medical college. The SC has made a very pertinent observation. 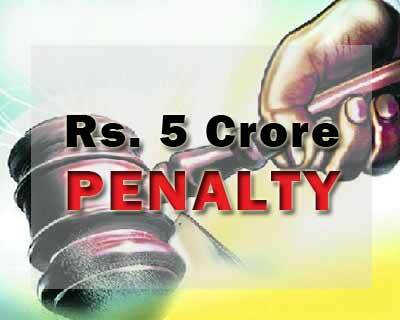 We are happy that it has imposed exemplary penalty on KIMS for cheating students. MCI should have a clear list of its approvals or disapprovals on its website so that potential MBBS/MD/MS/DNB candidates know the permissible capacity of each medical college in the country.